Students discover what makes Stoney Middleton special. Sheffield Hallam University Students studying hospitality undertook a guided village tour in January 2016 to learn more about the village. 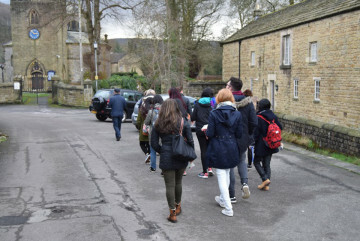 Sheffield Hallam University’s Venture Matrix Group provide live projects for students, giving them real life enterprise experience as part of their studies. 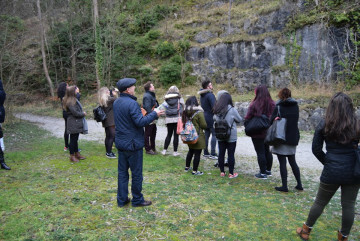 The students selected the Stoney Middleton project as part of their degree studies, working in small groups undertaking specific assignments, their aims – to promote the future heritage centre and café. They will present their results in February, at a special presentation day.